A few years ago an Indian bride decided she wanted to have a traditional wedding ceremony…at home (indoor). That sparked several questions. Will the city allow a horse Baraat ? Will it be too early to play music in the neighborhood? Where our all guests will park the Car ? lots of questions in her mind. The family sprang to action. And taken decision step by step. Step 1: First contact your local municipality to find out what you can and can’t do. Step 2: start early on obtaining any necessary permission from all authority. Step 3: invite your neighbors and office colleague to lunch, coffee etc. and have a brief presentation to explain what will happen that day: timing, loud music, baraat etc. 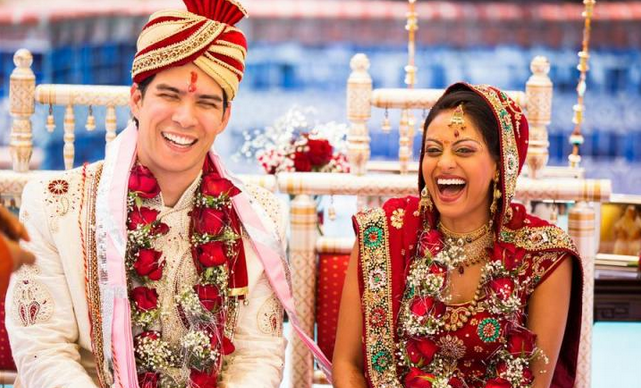 Bring photos, videos, serve samosas and consider inviting them to the ceremony. This was a July 4th weekend wedding, so it turned out that many of the neighbors were going to be out-of-town. They all appreciated the family’s gesture to inform them of the event and were super supportive and excited as most had never attended an Indian wedding before. The out-of-towners volunteered their driveways for parking, one neighbor is an amateur photographer and came over early to take photos of the setup. One neighbor event setup a water station for guests as they went by in the baraat! It was so thoughtful! Those that were in town, that weekend, joined the baraat and attended the ceremony. Stories like this warm our hearts!